Camping is for two kinds of people: those who can't afford a proper hotel and those who want to be eaten by animals and/or murdered by gun-wielding hillbillies. Even if you can't book a weekend jaunt to West Virginia, you still have a shot at being tasered by someone from Parks & Rec. 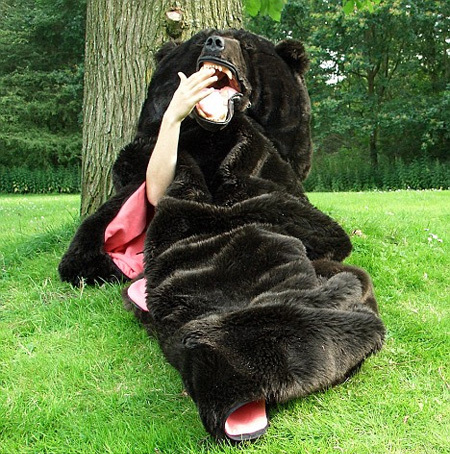 Enter the bear sleeping bag. 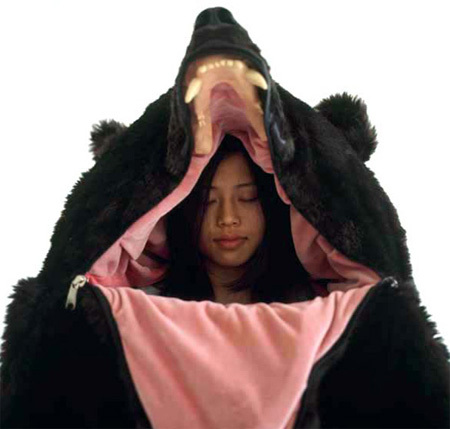 Unzip, climb inside, and pretend you're meta-hibernating inside Smokey Bear. 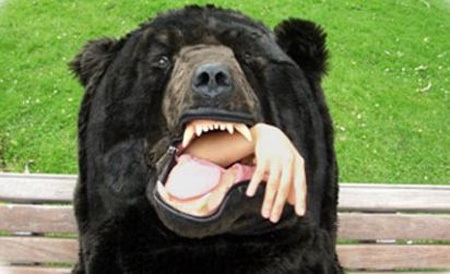 But remember: only you can prevent hipster nature killings.